Group B of ESL One Hamburg includes defending champions and record three-time ESL winners Virtus.pro. They are 2.920 favourites with Dafabet to win again. ESL have altered the format since the last ESL One tournament in Birmingham – there will be more games and a lower bracket during the elimination stage. The group-stage format has also been changed with all six teams in a group facing each other in a round-robin series. A victory will be awarded with a point, losers get nothing. The teams finishing in the top two will advance to the winners’ (upper) bracket, while 3rd and 4th places will take places in the lower bracket. The last two teams in each pool will be eliminated from the tournament altogether. The defending champions are one of few teams who did not make any changes post-The International despite not fulfilling their ambition of winning the tournament. The Russian team were a top contender, and another 5th-6th TI spot left them with a bitter taste in their mouths, having been favourites more or less throughout the entire DPC season. VP have started the new season well, qualifying for the Kuala Lumpur Major and winning the Maincast Autumn Brawl Minor. Virtus.pro are both favourites to win the group and the tournament altogether. This team consists mostly of former VGJ.Storm players. The former North American team were one of the sensations in the group stage of TI8, winning Group B. VGJ.Storm went on to finish 7-8th, but after the DPC changes allowing only one team per organisation to participate in TI9, the organisation and players parted ways. Some of the players duly formed Forward Gaming and were joined by UNiVeRsE, who replaced Sneyking. Despite finishing second in the Kuala Lumpur Major NA qualifiers, FG were beaten only by EG and demonstrated that the team from last season are still a force. The popular CS:GO organisation are making another entrance in the Dota 2 scene by signing ppd’s new line-up. The American captain is trying to fashion yet another team having achieved good results with Optic Gaming during the last DPC season, but missing out on his coveted goal of becoming TI champion again. ppd kept 33 from the previous roster and he is now joined by the former Team Secret duo Fata and Ace, as well TI6 finalist Saksa, who was largely inactive during last season. The team have already won the Minor GG.Bet Invitational Season 1 and are shaping up as one of the stronger European teams. Created by the legend BurNIng, Team Aster have arrived on the Chinese scene at a time when, PSG.LGD aside, there is no dominant competition. The team feature veterans with vast experience at the top level in Fenrir and Sylar, as well as more recently-risen stars BoBoKa and Xxs. The quintet is completed by a player rather unknown to the general public, Dstones. The team eliminated Newbee and Keen Gaming to earn spot at the tournament and, on paper, have what it takes to beat any team out there. 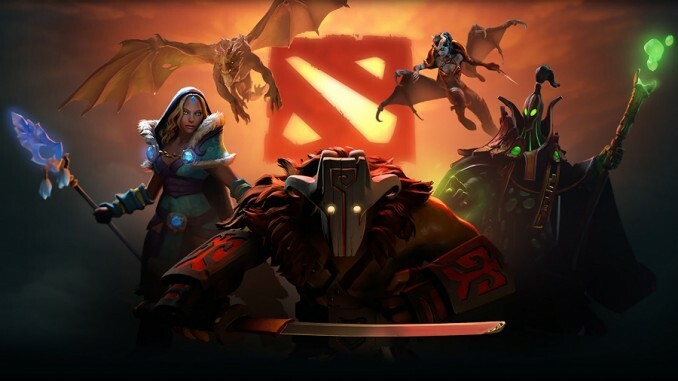 The team is largely unknown to the general Dota 2 audience, having never previously qualified for a DPC event or ESL and will make history as the first Indonesian team to play on the stage of ESL One Hamburg. EVOS finished 2nd in the SEA Qualifers, but will attend in place of TNC Predator, who withdrew from the tournament. EVOS have nothing to lose and are not among the favourites to progress from the group, but the team will have the element of surprise as their trump card and will surely try to make the most of the opportunity. The North American team were largely absent from the DPC during last season having faced stiff opposition from EG, VGJ.Storm and Optic Gaming in the NA qualifiers. Former team leader and captain, Kyle was removed and compLexity never really found a suitable replacement, trying varying rosters throughout the season. Limmp and Zfreek remain from the last year’s line-up, while Sneyking from the former VGJ.Storm and EternaLEnVy, as a captain, are now bolstering the ranks. The team have also signed a rather unknown player, Skem, who has previously played in a Geek Squad in the Philippines. Group B features less glamour than Group A in terms of names but there should be fiercer competition for the top spots. Virtus.pro can certainly be singled out as a favourite for a top-two spot, while EVOS are the team not burdened with high expectations. The remaining four teams should produce memorable moments for the crowd in their attempt to seize spots in the group that will allow them to progress further.